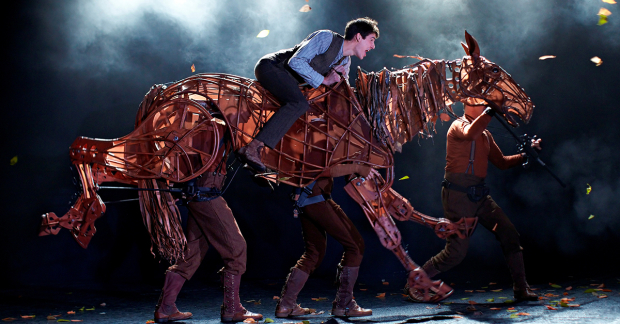 War Horse is one of the most famous productions from the National Theatre in London. The play is based on the book of the same name by children’s writer Michael Morpurgo. The production premièred at the National Theatre in 2007 and has been touring the world ever since. It features life-size horse puppets by the Handspring Puppet Company of South Africa. The production puts an emphasis on the lifelike movement of the horses, with Toby Sedgwick being credited for “horse choreography” in the production notes. The book was later converted into a film by Steven Spielberg in 2011, which starred Emily Watson, Tom Hiddleston and Benedict Cumberbatch, amongst others. 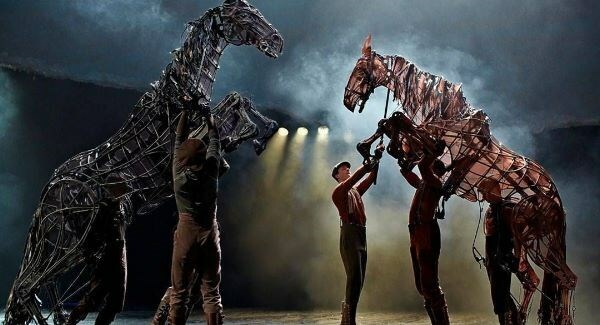 War Horse has returned to the Bord Gais Energy Theatre to coincide with the Easter holidays and should go down a treat! The play starts in 1914 and is the tale of a young man, Albert, who develops a deep friendship with a horse, Joey. His father, Ted Narracott, buys the animal at an auction for a ridiculous price, as he was competing for it with his brother. He spends money that was meant for their mortgage and his wife is disgusted when she finds out what he has done. The horse is quite wild and it is slowly tamed by Albert, who spends much time with the horse. With the start of the First World War, much will change for the horse and its quiet owner Albert. The story of War Horse is relatively simple, as you would expect from a work that was adapted from a children’s novel. This is no complex analysis of the First World War or the pain and suffering of those involved. The book is a love story, of sorts, between Albert and his horse Joey. The child thinks about little else and is even prepared to go to war to find his friend. The thing that excites in this production are the puppets and the work of the puppeteers. Handspring Puppet Company are a South African company who have created many impressive performances but this has to be their most famous work and the powerful beasts that roam the stage are quite daunting. There are many subtle touches, like the flicks of the horses’ tail or the way they prick up their ears when they sense danger, and they’re fascinating to watch. There are often three puppeteers working each animal, two hidden under the body of the beast and another puppeteer to work their face and head. At the start you see these puppeteers, as they are in plain view but later they disappear into the background and the creatures come to life. You see nothing other than the horse and its movement. It’s rare that you get such attention to detail in a theatre production, as the budgets from the National Theatre allow a different level of expertise to almost all other productions. This investment has long since paid off as it continues to fill theatres around the world. If there is a weakness, it is the story which offers little new, but as the source material was aimed at children it was never likely to be groundbreaking. The acting is up to the National Theatre’s usual high standard and the ensemble cast create a large and diverse world of farmyards and the sprawling battlefields of Europe. There are also a number of songs throughout the piece, delivered in a folk style that lighten the mood. Really, it’s impossible to ignore the puppets, which are the dazzling feature of this otherwise fine production.